WR 4-6-0 No. 7029 Clun Castle will definitely make its main line comeback this year – half a century after it hauled a special train to mark the closure of the route from Paddington to Birkenhead. The 1950-built icon was one of the star attractions at the Castles open weekend held at the engine’s home, Tyseley Locomotive Works, on June 24/25. 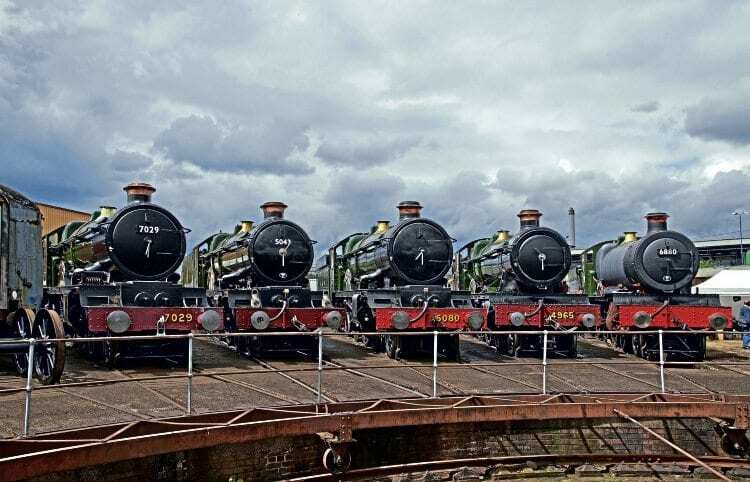 Tyseley’s overhaul of its flagship locomotive is all but complete, with the fitting of electronic apparatus the main outstanding work to be completed. For the weekend, it lined up alongside sister Castles No. 5080 Defiant – which is back at Tyseley for overhaul to main line standard after spending several years on loan to the Buckinghamshire Railway Centre – and No. 5043 Earl of Mount Edgcumbe. It is said to be capable of steaming, the boiler having passed all its tests. However, Tyseley officials were reticent to ‘start the clock ticking’ on its boiler certificate by steaming it at the event.